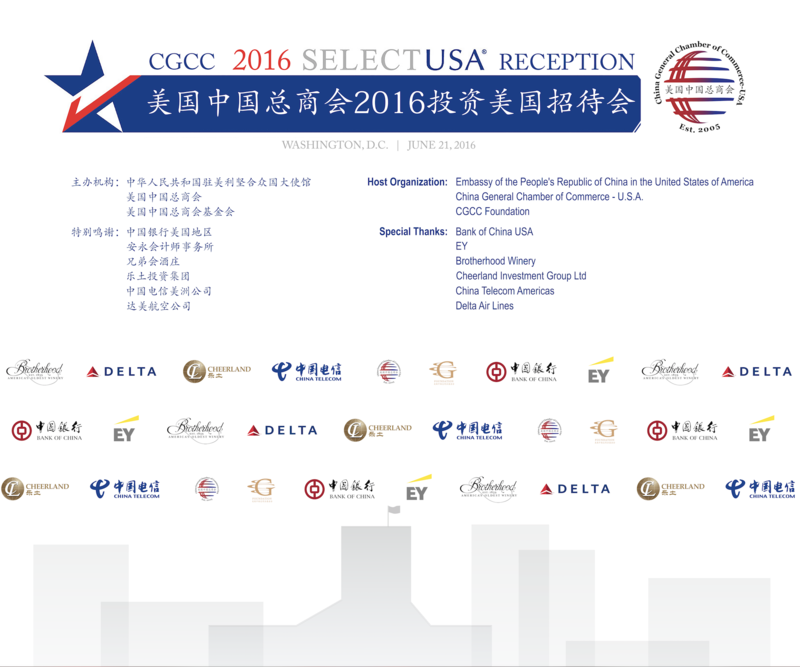 CGCC Hosts the 2016 SelectUSA Reception - China General Chamber of Commerce - U.S.A.
On Tuesday, June 21st, Embassy of the People’s Republic of China in the United States of America and China General Chamber of Commerce – U.S.A. (CGCC) hosted the 2016 SelectUSA Reception in Washington, DC. 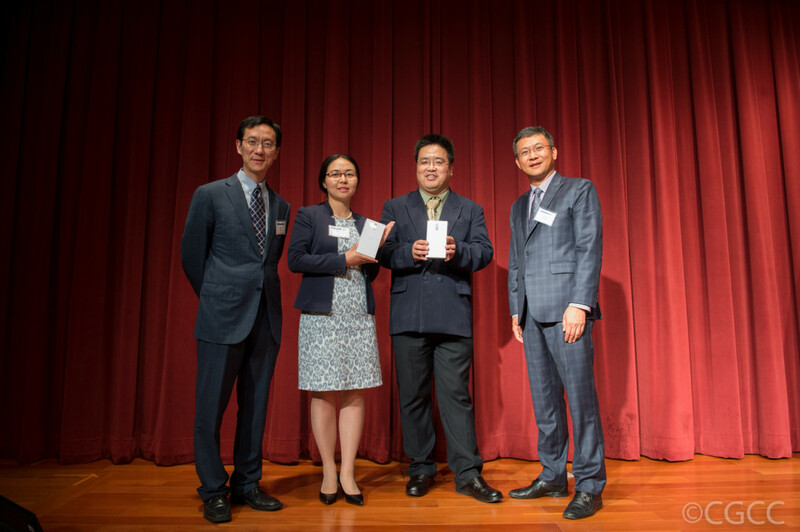 Guest speakers included Deputy Chief of Mission, Charge d’Affaires Madam Wu Xi, U.S. 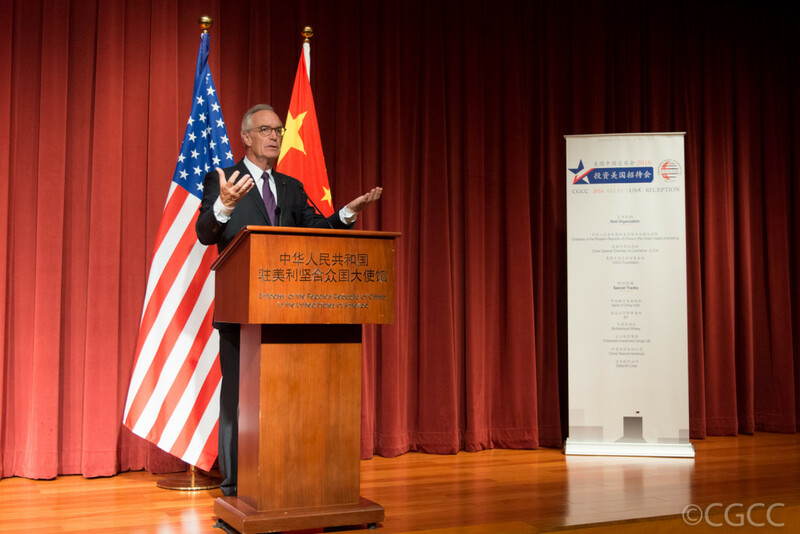 Ambassador to China Max Baucus, U.S. Deputy Secretary of Commerce Bruce Andrews, Former U.S. Secretary of the Interior and President and CEO of the American Council of Life Insurers (ACLI) Dirk Kempthorne. 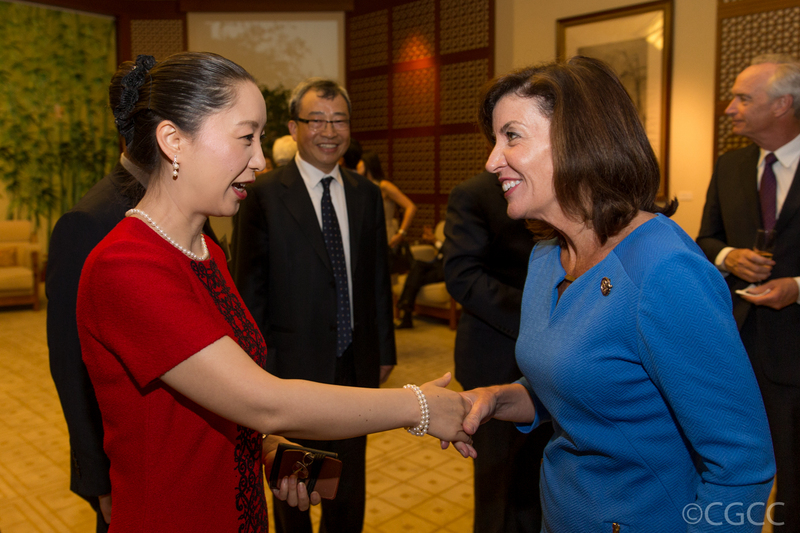 About 400 guests from China and U.S. government and businesses attended the reception, including the 77th Lieutenant Governor of the State of New York Kathy Hochul, CGCC members and the China Delegation to the SelectUSA Investment Summit. 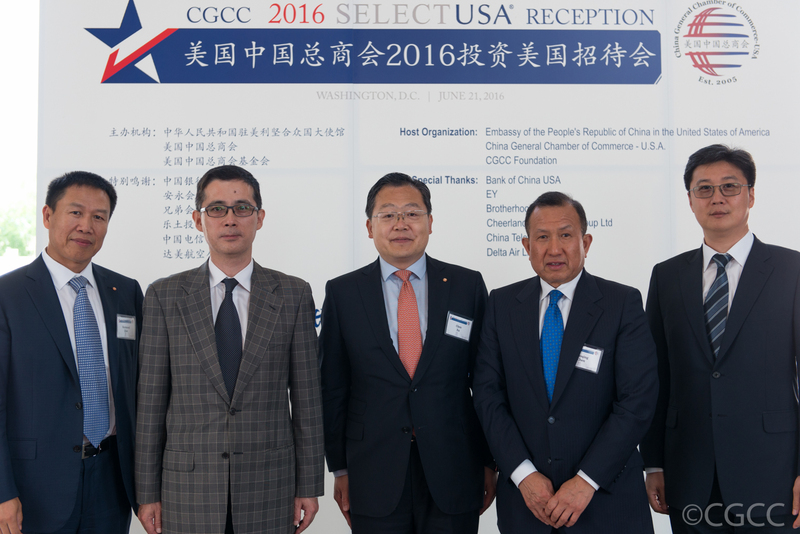 Chairman of CGCC and President and CEO of Bank of China USA Xu Chen hosted the reception. Xu said, this is the second year that the Chinese Embassy in the U.S. and CGCC cohost the Select USA Reception. He hopes that this reception would become an annual celebration for U.S.-China business communities in the future and give Chinese and U.S. enterprises a unique opportunity to share opinions and resources about investing in the U.S.
Deputy Chief of Mission, Charge d’Affaires Madam Wu Xi spoke highly of the important role CGCC played in promoting China-US economic and trade cooperation as well as their efforts in making this reception a great success. 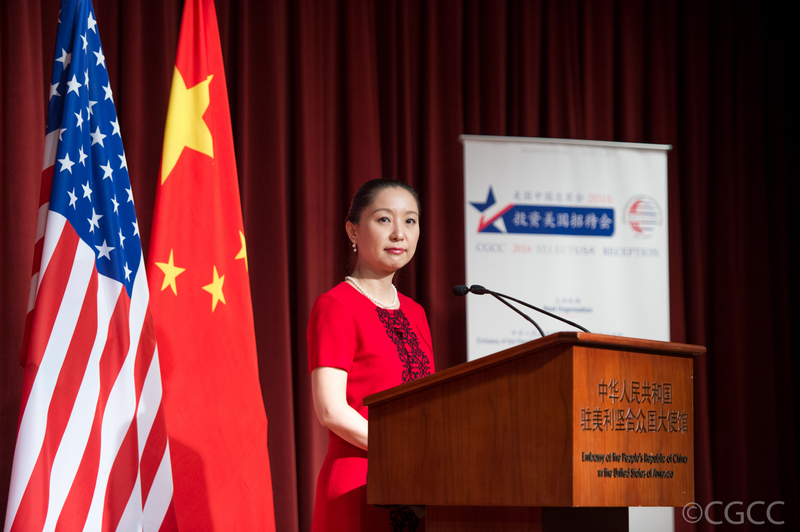 Madam Wu Xi said, economic and trade cooperation has been the bedrock and booster in China-US relationship. 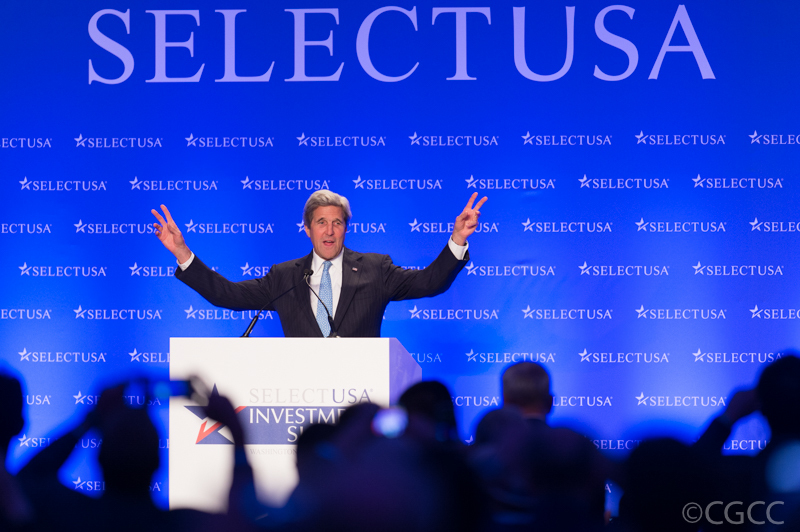 Today, the bulk of it is shifting from just trade to trade and investment. 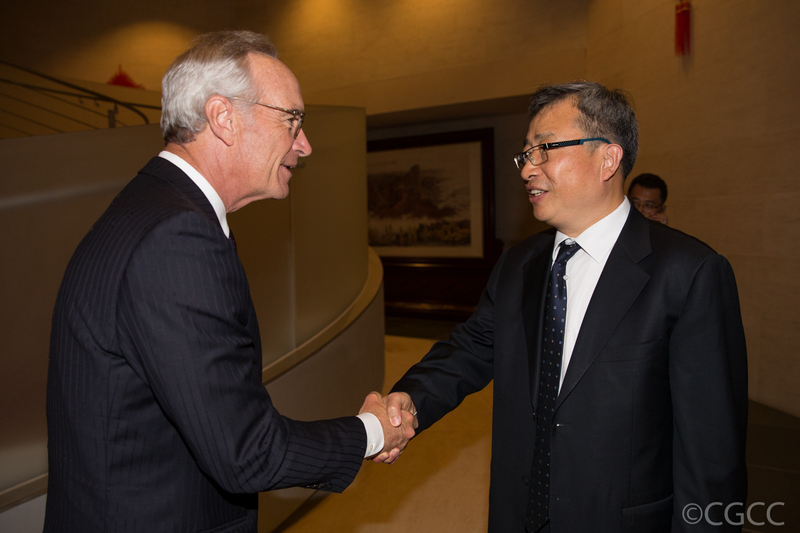 A high-level investment treaty between China and the U.S. will bring an effective legal framework and strong impetus to two-way investment between the two countries. 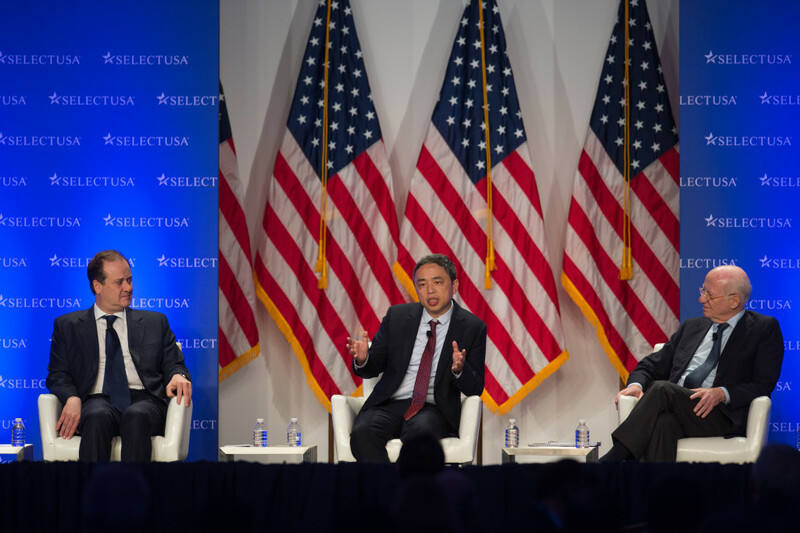 The Chinese government encourages more Chinese businesses to “select USA”, and warmly welcomes more US businesses to “select China”. 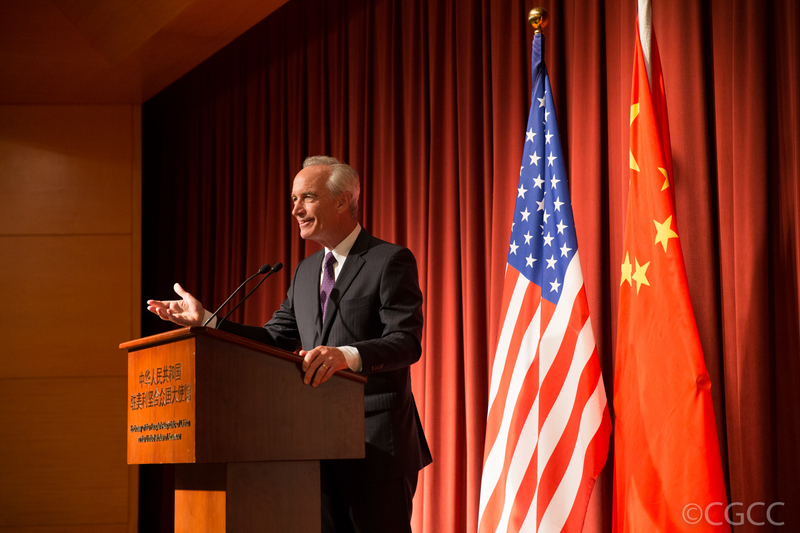 U.S. Deputy Secretary of Commerce Bruce Andrews expressed his thanks to CGCC for its dedicated efforts in growing bilateral trade and investment, increasing high-level engagement between the two governments and facilitating Chinese businesses’ participation in the SelectUSA Investment Summit. 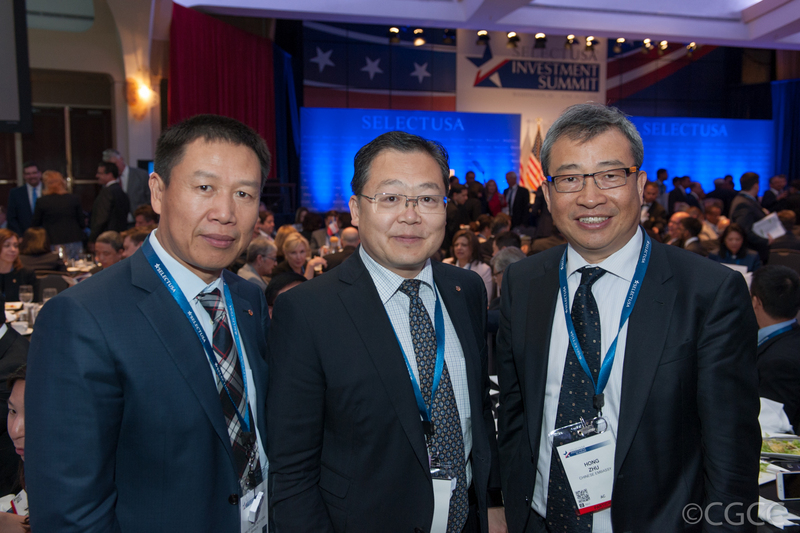 He said, the China delegation is the largest delegation in the Select USA Summit and China has been a fast growing source of FDI to the United States. 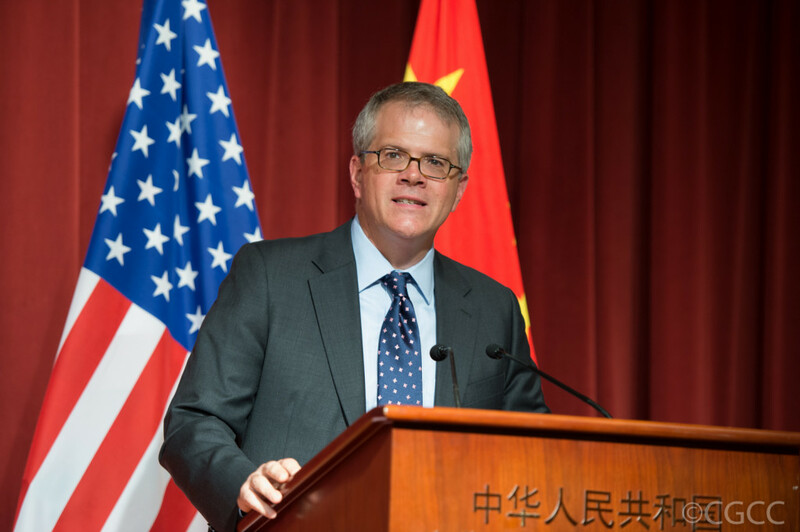 Deputy Secretary Andrews stated, the United States is fully committed to its long-standing open economy policy to provide national treatment to investors from China. Former U.S. Secretary of the Interior and President and CEO of ACLI Dirk Kempthorne pointed out that opportunities to expand China-U.S. bilateral investment exist in all sectors, including insurance. China is currently the world’s fourth-largest life insurance market and China represented 22 percent of global premium growth in 2014. 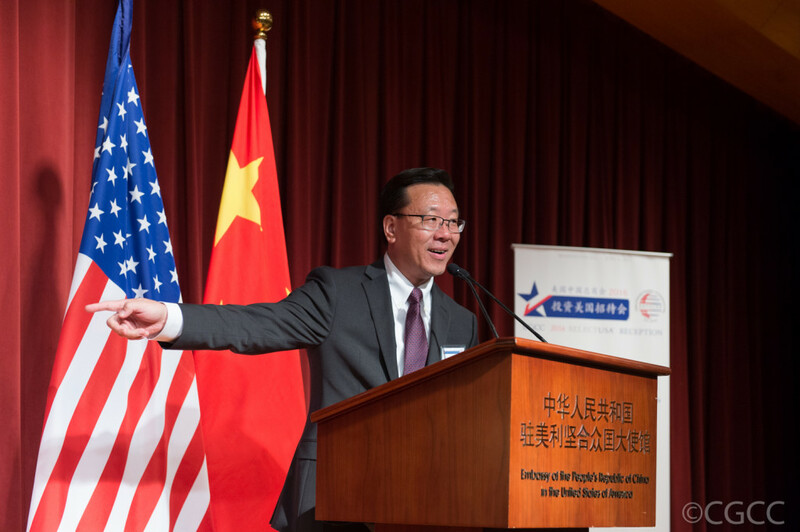 Yet China is still considered vastly uninsured, so there is great room for greater connection between China and the U.S. in the life insurance industry. U.S. 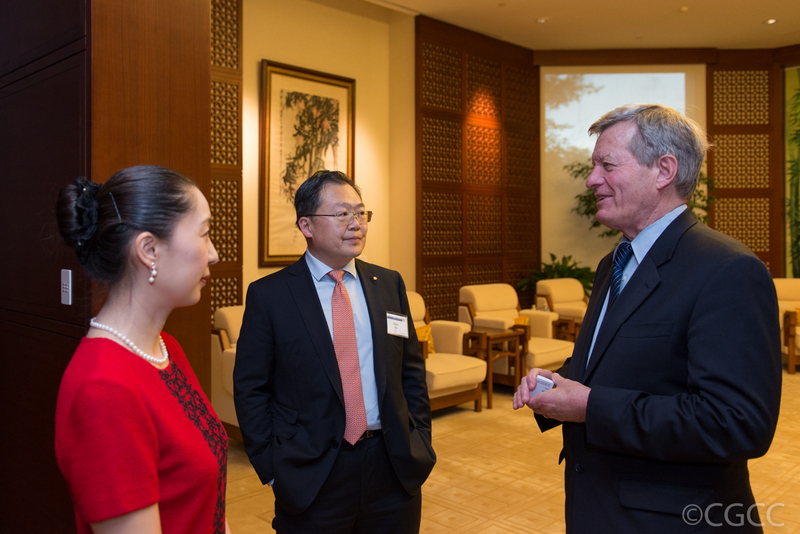 Ambassador to China Max Baucus is the last speaker at the reception. He greeted the audience by saying “old friends” in Chinese. 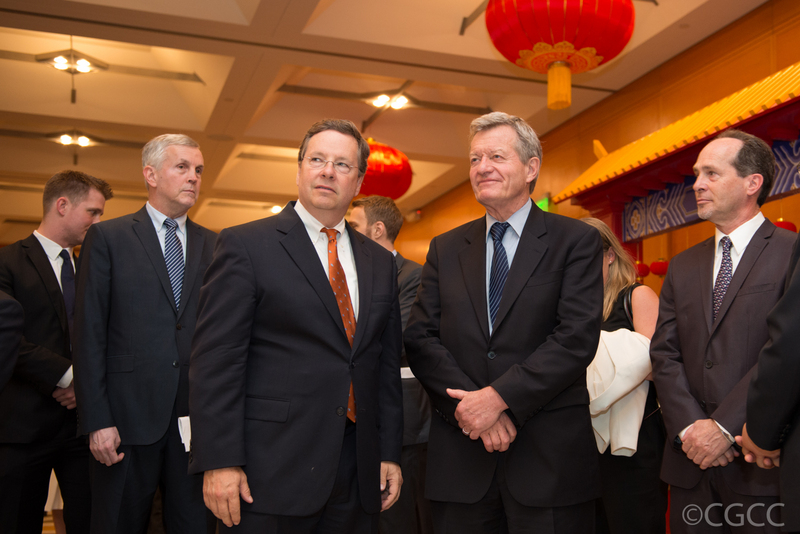 Baucus remarked that Baucus said he remains “bullish” about U.S.-China relationship no matter who gets elected as president in November. 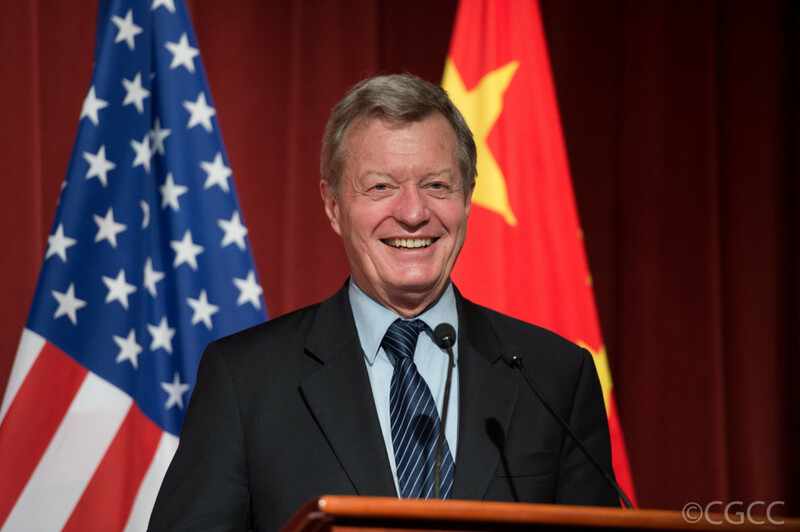 “It’s basically because the leaders and people in both our two countries have realized that people in China and people in the United States essentially have the same hopes and aspirations”, said Baucus. 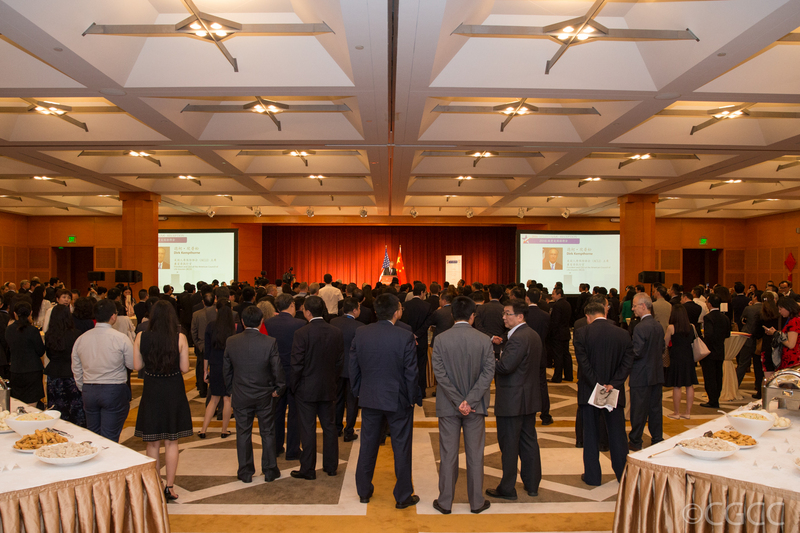 CGCC also launched the 2016 “Annual Business Survey Report on Chinese Enterprises in the U.S.” during this reception. The report showed that in spite of a slowdown in revenue growth, more than 70% of the Chinese companies surveyed successfully increased or maintained their revenue in 2016. Over 40% of the companies surveyed achieved profit growth. 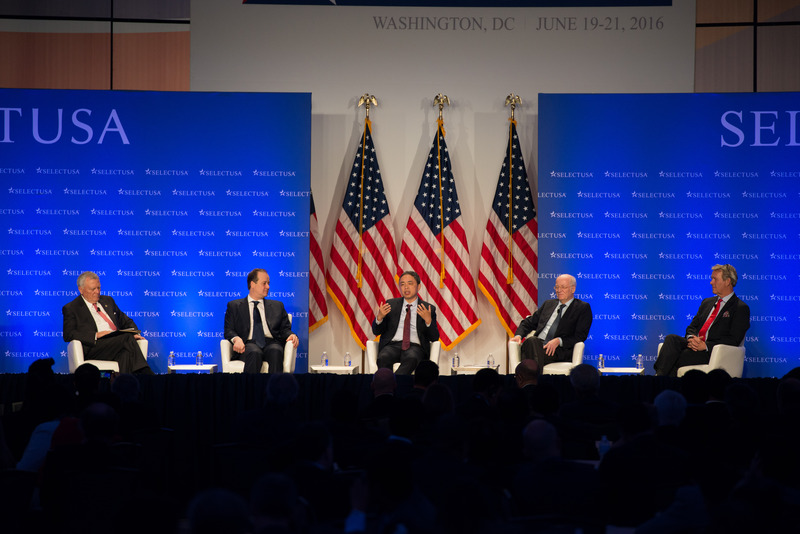 Chinese enterprises has demonstrated significant progress in adapting to the U.S. tax system during the past two years. 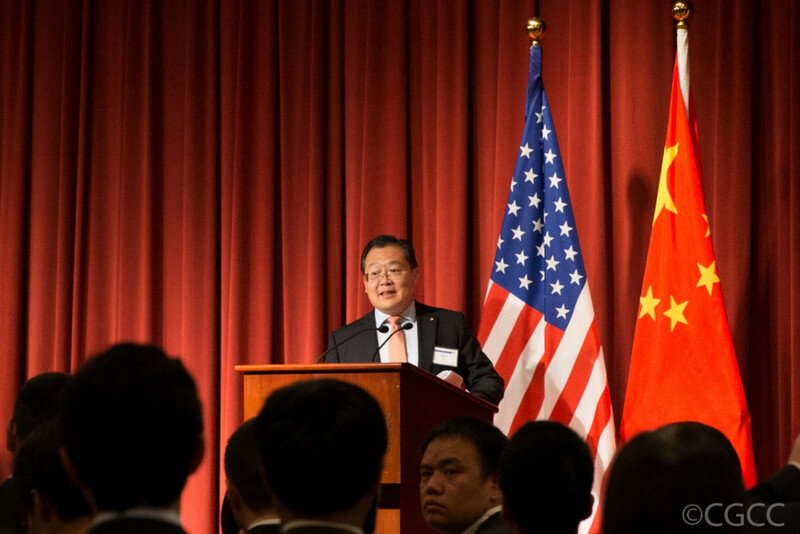 Most Chinese companies continue to benefit from the maturity and efficiency of the U.S. market. 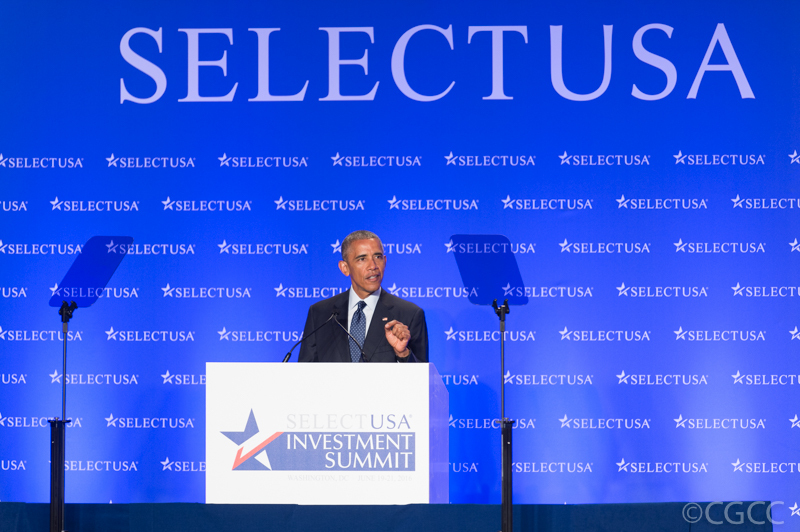 This is the second time that CGCC hosts the SelectUSA Reception for the China Delegation to the SelectUSA Investment Summit at the Chinese Embassy in the U.S. President Obama initiated the SelectUSA program in 2011, with the aim to boost foreign investment in the U.S. 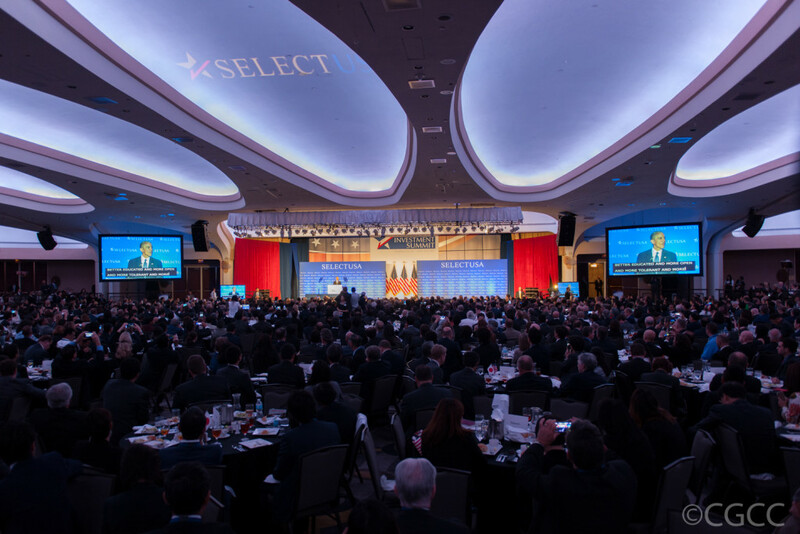 This year’s SelectUSA Investment Summit was held in Washington DC from June 19th to June 21st and attracted more than 2,400 people from over 70 countries around the world. 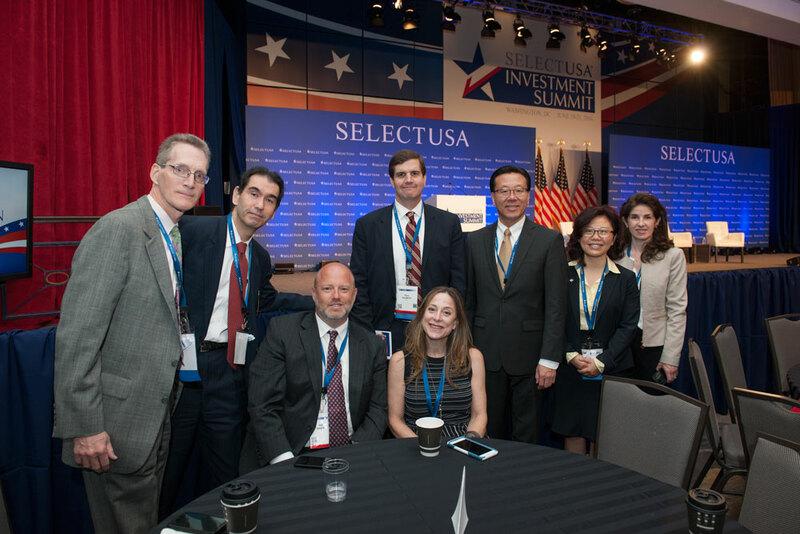 Ni Pin was the only Chinese entrepreneur speaking at the SelectUSA Investment Summit. 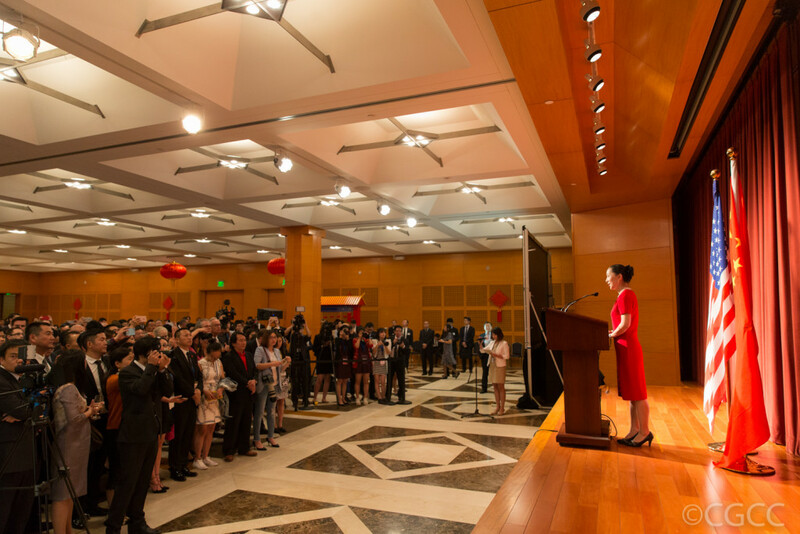 The reception was sponsored by Bank of China USA, EY, Brotherhood Winery, Cheerland Investment Group Ltd, China Telecom Americas, Delta Air Lines.